It’s 1959; the crowded streets are filled with screaming people, their hands raised, flags flying, revolutionary hymns playing harmoniously in the background. The stage is set for one of the most divisive, polarizing figures the world has ever seen. As he enters smiling and waving, only one thing is for sure: Things will never be same. Or will they? For 58 years, Fidel Castro had the Republic of Cuba tucked away (from Americans at least) as an unknown treasure. 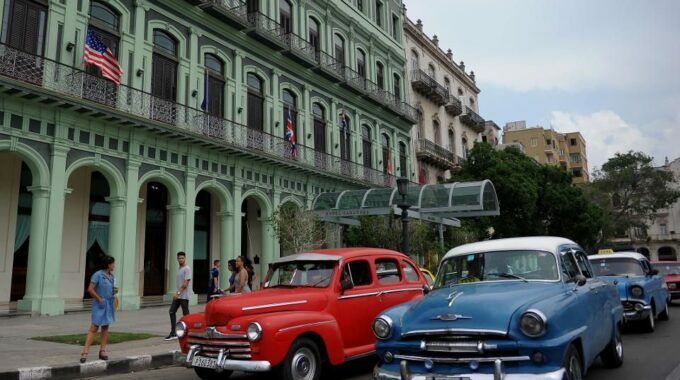 Known for its world-famous cigars, sugar sand beaches and a particular missile crisis, Cuba captured the world’s attention and recently has been fodder for a lot of conversation. In this case, it’s about marketing. My wife and I recently had the opportunity to visit Cuba for “educational” purposes, and I must admit, it was one of the most enjoyable and thought-provoking trips of our lives. Within a span of five days, we took a six-hour bike ride through the picturesque streets of Havana, a six-hour horseback ride through what looked to be the backdrop for Jurassic Park (Viñales), and a two-hour boat ride to arguably a top 10 beach in the world (Cayo Blanco). It wasn’t until after we got home that I was able to process the experience and come up with its practical application for marketing.